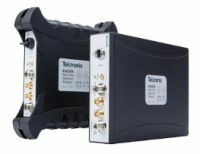 BEAVERTON, Ore., Nov. 29, 2016 /PRNewswire/ -- Tektronix, Inc., a leading worldwide provider of measurement solutions, today unveiled a complete solution for performing high resistivity measurements in compliance with accepted industry standards including ASTM D257 and IEC 60093. Designed for use with the Keithley Model 6517B Electrometer and Model 8009 Resistivity Chamber, the new Model KICKSTARTFL-HRMA application automates volume and surface resistivity measurements for more accurate and repeatable results without the need for custom programming. Material scientists and engineers use resistivity measurement to verify the electrical properties of insulating and other materials they are developing or evaluating. However, they tend to be materials experts rather than test equipment experts and need tools that allow them to characterize materials without having to learn how to program test instrumentation. The KICKSTARTFL-HRMA application requires no programming and performs all required computations based on the geometry of the Keithley test fixture. "High resistivity measurements are critical to evaluating not just electrical insulating materials, but many other materials. For instance, the resistivity of materials used in the production of car tires is important in balancing electrostatic discharge safety with properties that affect rolling friction," said Mike Flaherty, general manager, Keithley product line at Tektronix. "With this solution we are making these measurements much easier than they have ever been in the past, allowing our customers to focus on what they do best – developing new and improved materials for all types of applications." The KICKSTARTFL-HRMA application quickly and reliably allows users to determine resistivity of materials using setups and methods consistent with ASTM D257 and IEC60093 standards. Users can visualize the step response of the material and make a good decision on an appropriate test time to use for volume or surface resistivity testing. 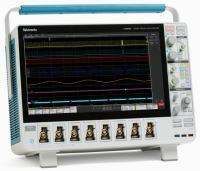 For improved accuracy, the software uses the Keithley alternating polarity measurement technique to eliminate inherent background currents. And, using optional probes, users can also observe how resistivity changes due to environment factors such as temperature or humidity. Resulting data is presented in both graphical and tabular formats. An option for Keithley KickStart Instrument Control Software, the Model KICKSTARTFL-HRMA is available now and priced at $499. 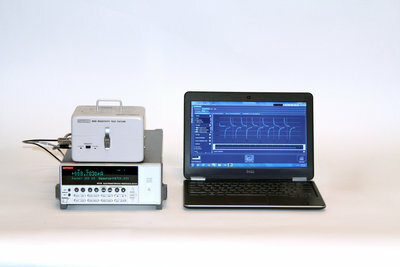 The full high-resistivity measurement solution includes Kickstart software, a Model 6517B Electrometer, and Model 8009 Resistivity Chamber. For more information go to: http://www.tek.com/keithley-kickstart.